A client came to me with a beautiful aquamarine in a setting she didn’t love. I created a new ring setting her stone in the center and scattering her diamonds all around. 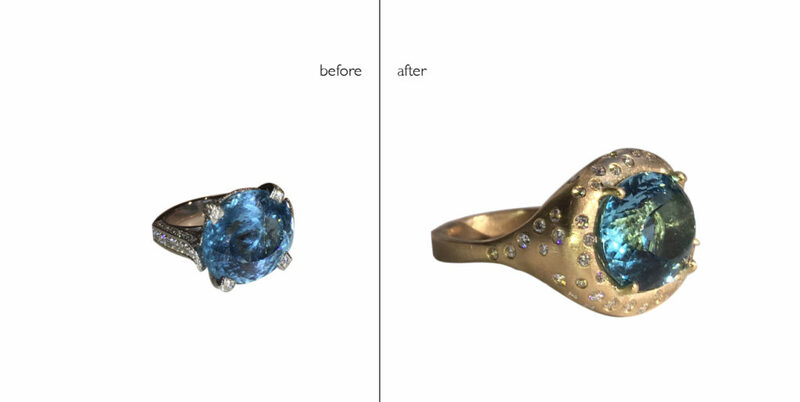 She was thrilled to have a new ring and happy to be able to use her own stones.